Become Captain America™, the ultimate Super-Soldier, in the darkest days of World War II as you face the Red Skull and his army in this epic third-person action adventure. Wield Captain America’s legendary shield to take out multiple enemies at once, deflect incoming fire back at your enemies, solve puzzles, and scale walls. Above all, hurl yourself shield-first into the fray, with the superior force of the world’s first Super-Soldier at your fingertips. Engage in free-flowing combat and acrobatic platforming to infiltrate Hydra’s massive and mysterious castle complex and battle the infamous Iron Cross, the forces of Hydra, and a host of nefarious enemies serving the Red Skull in an all-new Captain America story and adventure. 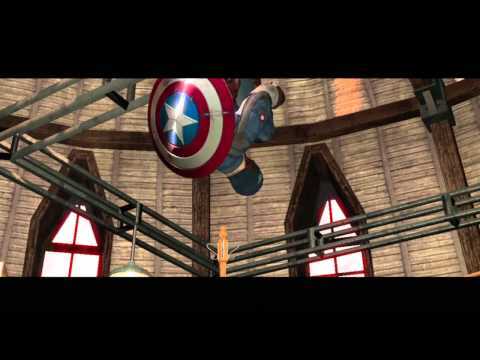 Captain America: Super Soldier combines an acrobatic combat system with fluid platforming and a highly tuned suite of shield attacks including melee combos.